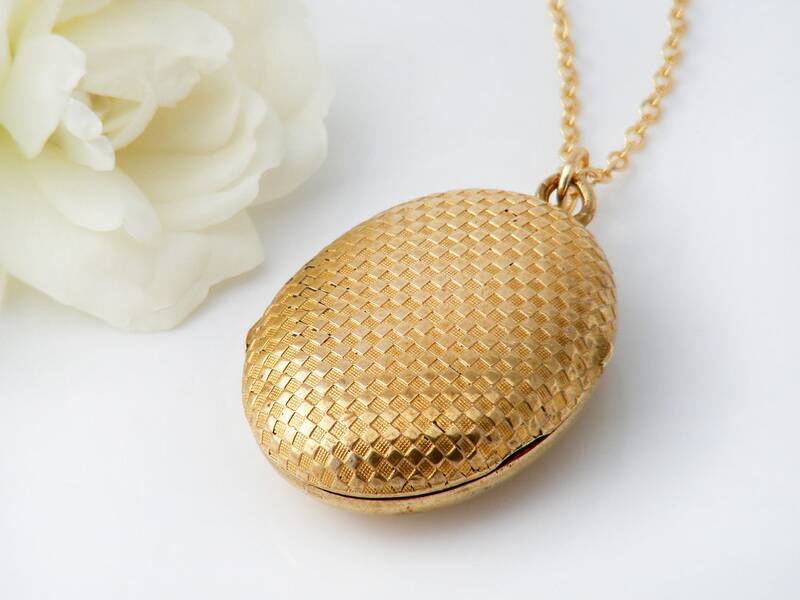 A vintage locket, gold plated with an all-over checkered design to the front. A nicely textured mid-century piece, it is well weighted and lovely to handle. No markings as the locket is gold plated, priced accordingly. 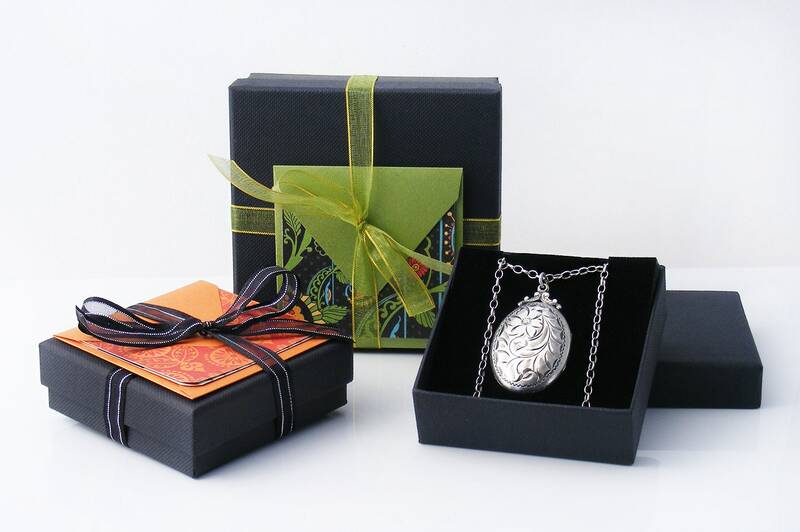 There are no interior fittings, the locket has a deep receptacle to hold a special memento. 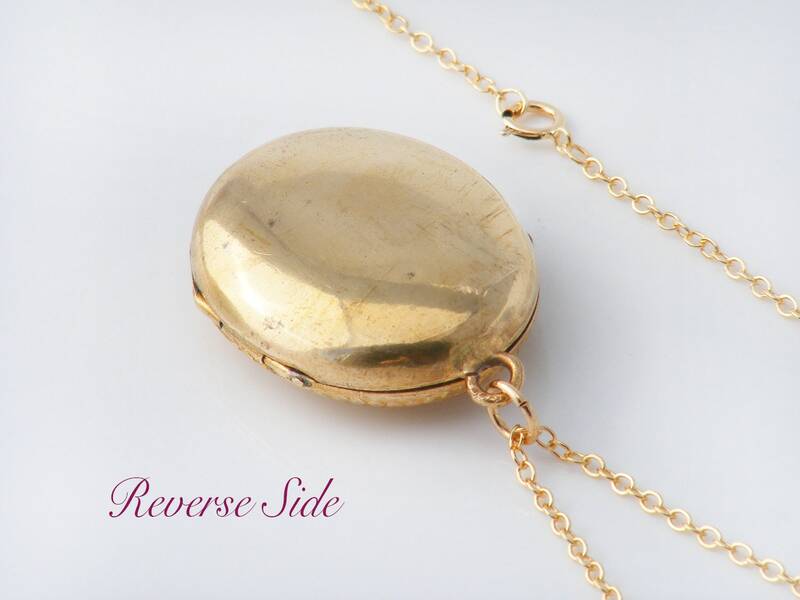 A medium sized locket, 1 x 1.3 inches (25 x 33mm) and gently rounding out to approximately 1cm in thickness. 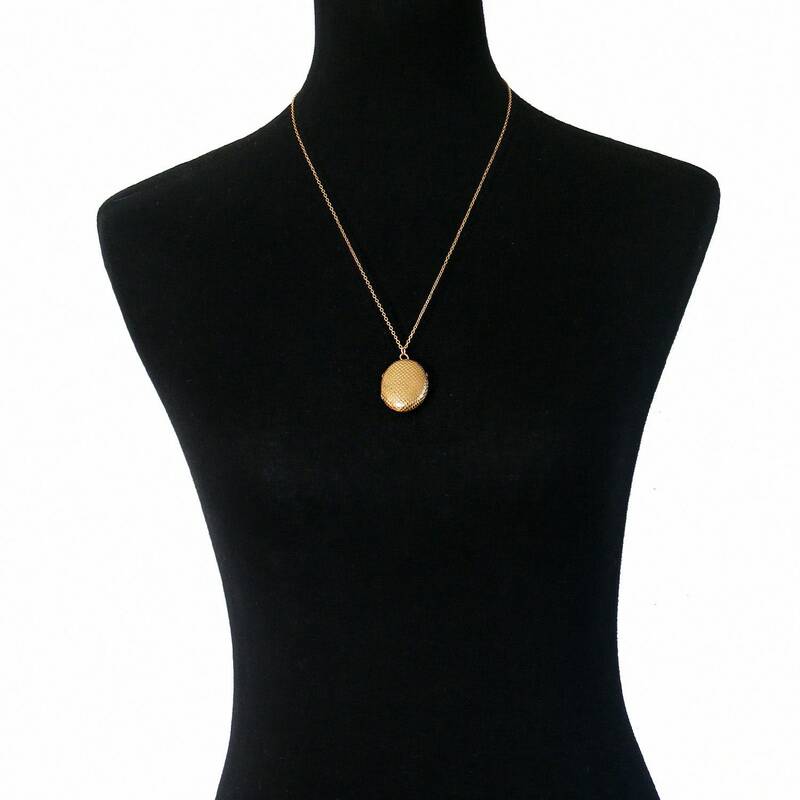 The Chain: The locket is presented on a new 24inch or 61cm chain in 14ct gold fill, stamped to the clasp as such - seen on a life size torso in image #3. Condition: Very good. Minor surface wear and marks to the back, no nasty dents or scratches. 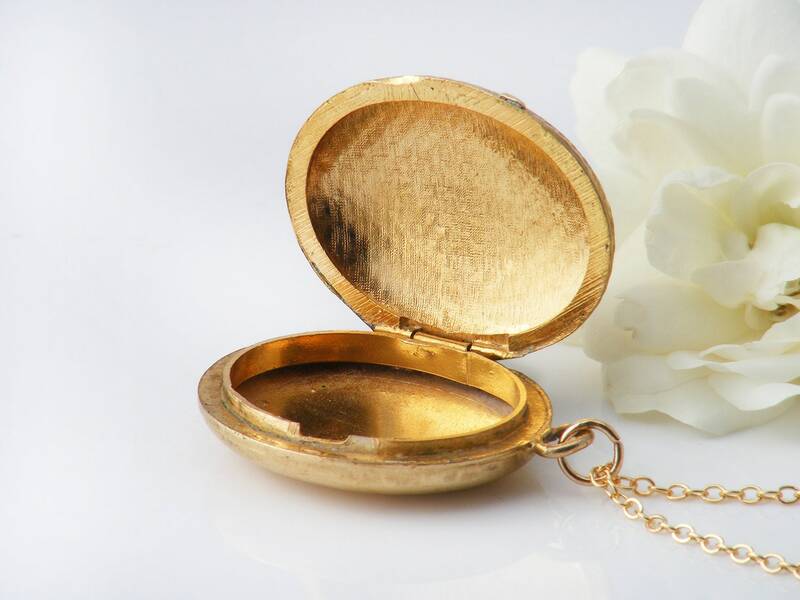 The locket closes tightly with a nice snap and leaves no gaps. *Please note that large black patches are camera reflections in the polished gold. 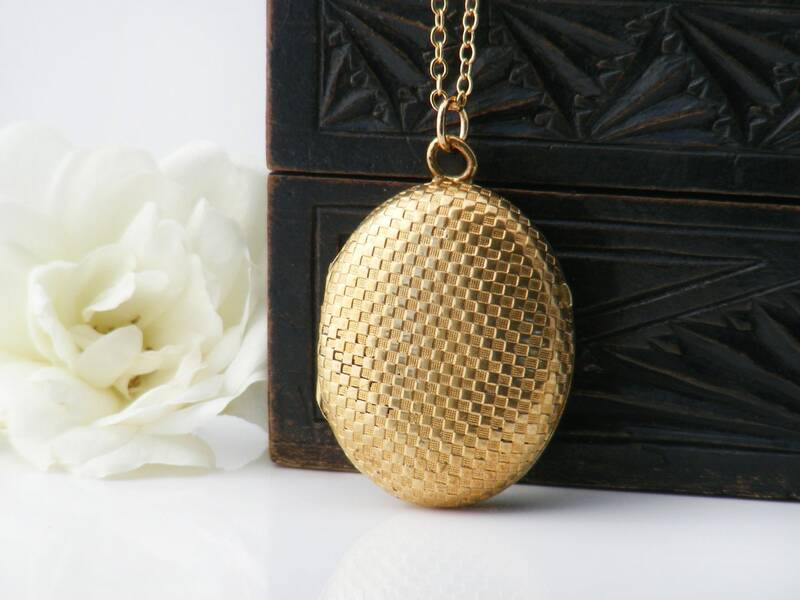 A simple yet refined locket, unusual in form and design. A very nice mid-century locket.